The MHC are a group of local artists, designers and crafters willing to challenge the usual perception of ‘the exhibition’. The aim is to provide an opportunity for both the artist to exhibit and an audience to view and hopefully purchase beautiful art, craft items, up-cycled furniture and vintage goods in a really relaxed environment. Working as a collective means that everybody can encourage and support each other’s creativity. 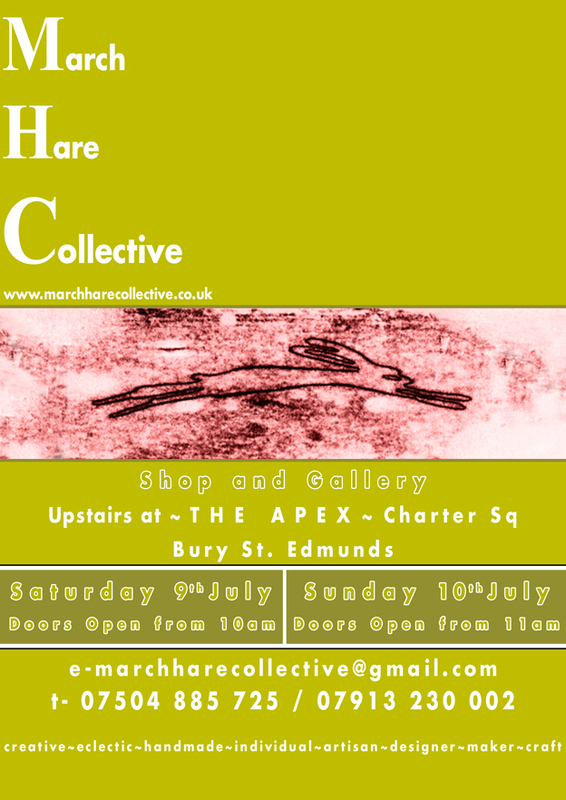 Please take a look at the website March Hare Collective for all forthcoming events and sign up to the mailing list. Upstairs in The Apex, from 10am (11am Sunday ) to 4pm, Saturday 9th and Sunday 10th July, free entry Bar and Cafe facilities available.